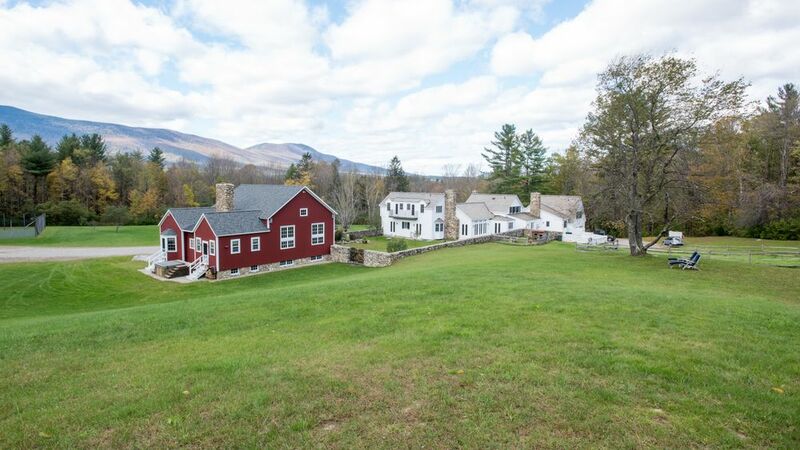 Enchanting stone walls, breathtaking views and a pristinely renovated, intimate barn are just a few of the features positioning Equinox Summit Farm in a class of its own. 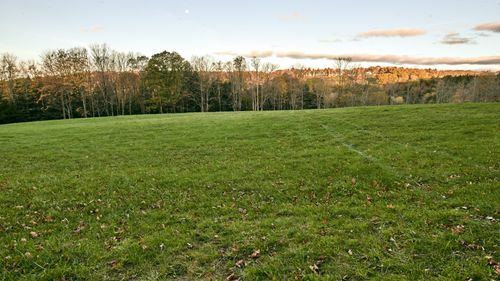 Just 5 minutes outside of Vermont's Manchester Village, a quintessential Vermont city-center with all the charm and modern amenities, you'll find this hidden gem sitting inside 53 acres of enchanting forests. 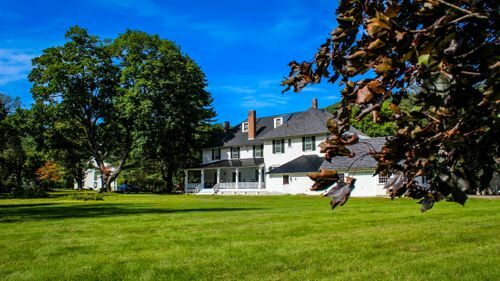 Nestled between the Green Mountains and the Taconic Range, this once country estate has been restored to its original splendor, surrounded by open meadows, old apple orchards and forest trails. Couples can choose between a larger event outdoors, or a more intimate gathering inside the barn. 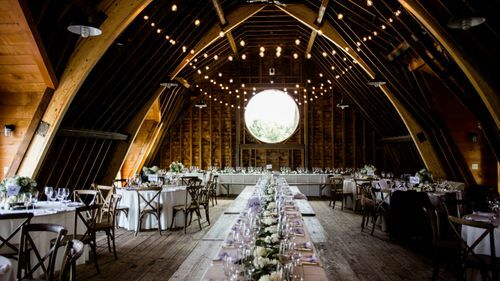 The barn's hand-crafted woodwork, and stunning renovation will serve as the perfect backdrop for the most elegant affair. 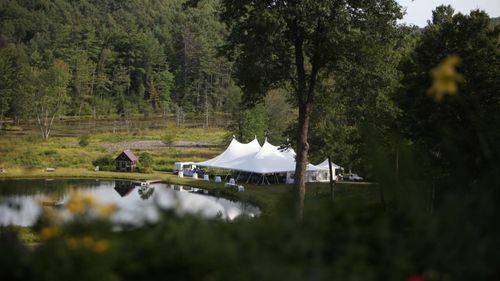 For larger events, enjoy an outdoor ceremony and tented reception along the original stone wall. For smaller events, consider utilizing the indoor barn for an indoor seated reception for up to 60 guests or cocktails for up to 125 guests. Restrooms - 2 available inside barn for indoor receptions up to 60 guests. Outdoor receptions require rentals. Parking - Up to 10 cars. Kitchen Access - Wash area, dishwasher, oven, stove, grill, refrigerator, freezer, loading and unloading docks available. Easy access and close to reception site. Electric Power - Available at reception site. 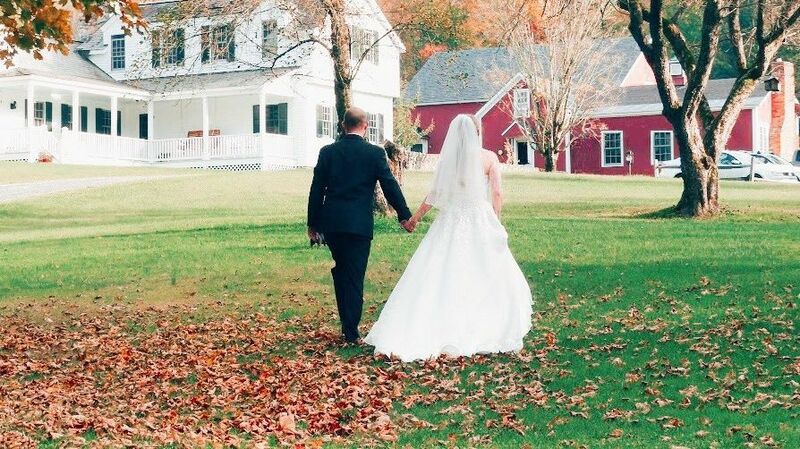 Rent the on-site barn as a converted overnight rental, perfect for wedding day preparations. 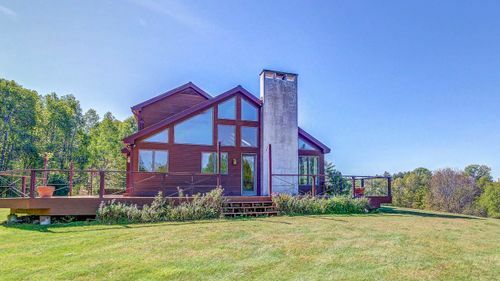 The converted historic barn features renovated woodwork, historic stone accents, and a spacious light-filled atmosphere. 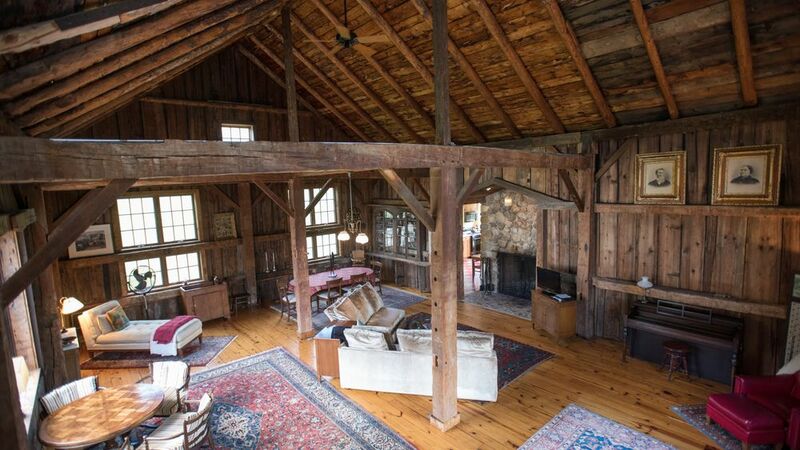 Note: The converted barn eliminates option for event use. Farm to table custom menu available through local caterer. Outdoor rehearsal dinner space can be rented for $750. Falconry school maintains access to certain on-site trails and will remain off-limits for couples and guests. Open Flame Policy: No open flames. Wedding torches and bonfires authorized with approved permit from local fire department. Pet Policy: Dogs or cats of the bride and groom only. Decorations: Nails or staples not permitted on permanent venue structures. Confetti not authorized. Trash and Recycling: Couples must bag trash and leave in on-site dumpster. Town Ordinances: Amplified noise must end by 11pm.